Japan is the most wonderful of countries, and Kyoto is always at the top of the list for visitors to the Land of the Rising Sun, which comes as no surprise when you could go to a temple a day and not see them all in a year. 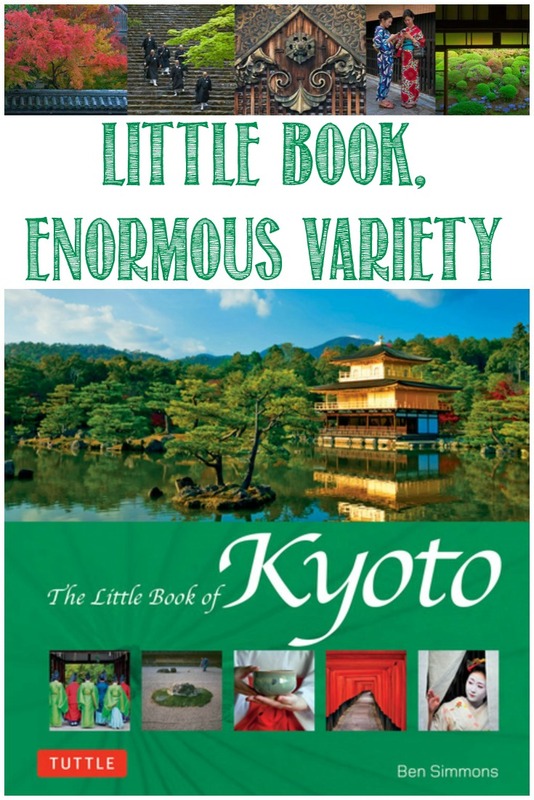 Of course, there is so much more to Kyoto than temples and shrines; if you’re interested in more of the wonders of Kyoto, then The Little Book of Kyoto is a great place to start! 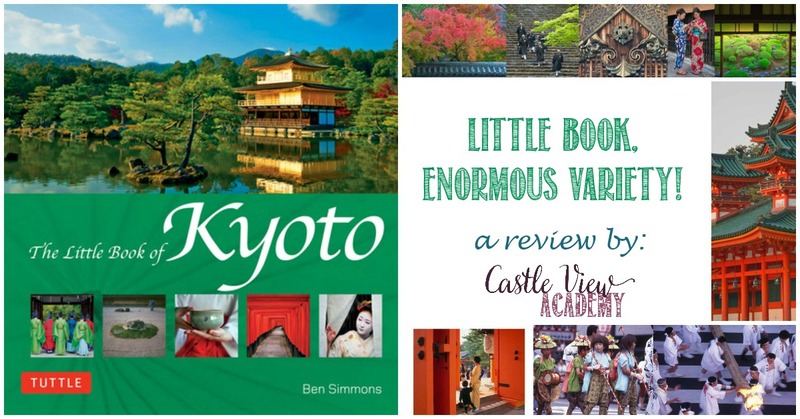 Tuttle Publishing kindly sent us a copy of The Little Book of Kyoto, by Ben Simmons, to review. Not too long ago I reviewed other books in this series, The Little Book of Toyko, as well as The Little Book of Japan, and they have really got me hooked on The Little Books! When I lived in Japan, I was a few hours away from Kyoto and it took me five months to finally make it to the capital of culture when Mom came to visit. 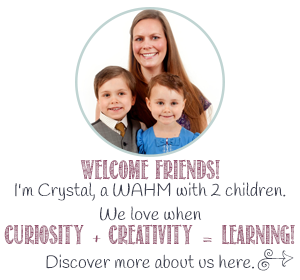 It would be another four months before I’d go again with a friend who flew over from Canada, and after that I did my best to stop by whenever I was living in the area during my time hopping about as an emergency teacher in various locations. I just couldn’t get enough of Kyoto! I never really did see Kyoto by night as I would be so exhausted from doing as much as I could during the day that I’d go back to my hotel or temple for a little rest and end up falling asleep for the night. 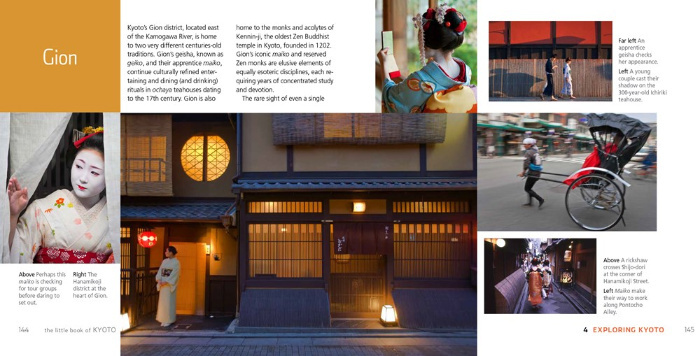 The Little Book of Kyoto is filled with gorgeous photographs and loaded with information about every area of the city in the form of short essays. Looking back over my own photos of Kyoto taken with a pocket point and shoot in often poor or harsh lighting conditions means I have memories in my own pics, but can really appreciate the time and talent that went into the photos in this book. 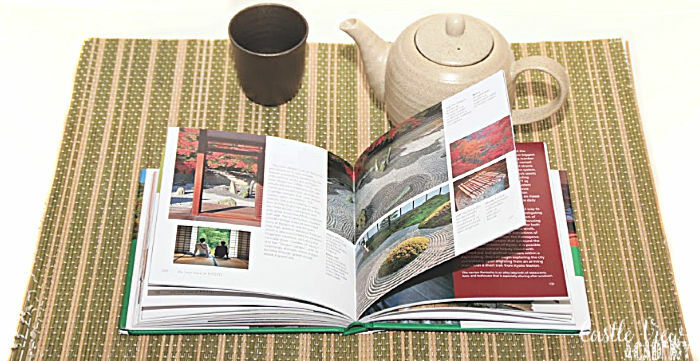 This chapter gives a good overview of the essence of Kyoto: festivals, shrines and temples, gardens, food, shopping, style, tea culture, art, and the residents themselves. This is a good overview of life in Kyoto; festivals, food, souvenirs, tea rooms, and more. 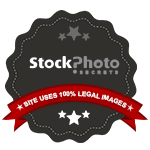 The photos are everyday and amazing at the same time. This chapter is all about the legacy left behind from 794 to 1868 when Kyoto was the capital of Japan. Although much of the architecture of this time is no longer standing in full, there certainly is a lot left to explore from Nijo Castle, to the Imperial Palace, to gardens and villas. Mom and I visited a couple of these interesting locations together. If you love Japanese temples and shrines, this chapter is for you! No one can visit Kyoto without visiting one or dozens of the shrines and temples scattered throughout the city and surrounding hills. My favourite has always been Kiyomizu-dera, nestled on the side of a hill, looking down over the city, with several things to see and ponder throughout the complex. Other popular tourist destinations are Kinkaku-ji Temple, known for the gold-leaf that covers its exterior. If you’re looking for something less ostentatious, then take the excellent bus service over to Tofuku-ji Temple, which was established in 1236. As far as I’m concerned, this is a must-visit for anyone who appreciates zen gardens, as it has been described as “a massive Zen city,” by author Donald Richie, and I wholeheartedly agree! In this chapter you’ll go beyond the temples and get out exploring different areas of the city and further beyond. Kyoto Eki (Station) is an entity all of its own, and is spectacular for its modern architecture in a city known for its history. 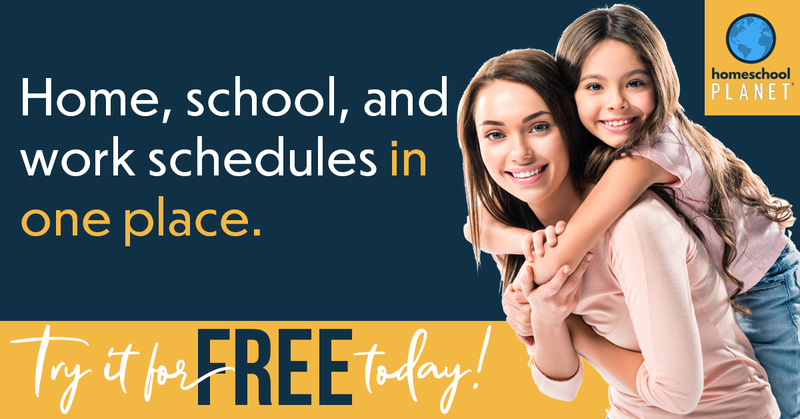 Even with the hustle and bustle of the throngs of people rushing past, its still easy to find a quiet spot to sit, relax, and take a breather from the business of the day or plan out where you would like to go first. (I have previously written a little about Kyoto Eki). 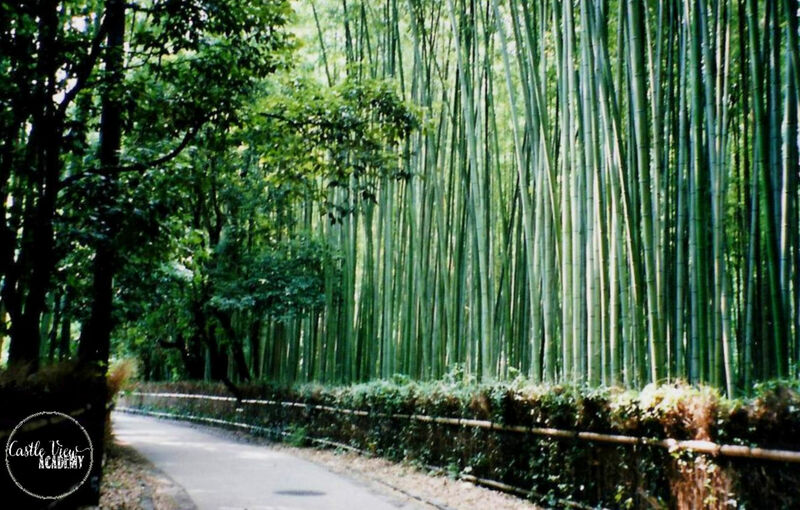 The Arashiyama and Sagano area is know for its bamboo forest walk; one of my favourite and peaceful sounds of Japan is the sound of the wind rustling through the leaves of bamboo trees. And of course, if you have a day to spare, take the local train over to Nara, home of Todai-ji Temple, a World Heritage Site, the world’s largest wooden building that houses the world’s largest bronze casting of the Daibutsu (Great Buddha), which is 49ft/15m in height.Twice a year they open the windows at the front of the building and you can see Buddha looking out at you. It was a lasting experience to see the shutters close at the end of the day at this time during the O-bon festival. I have thoroughly enjoyed reading this Little Book from cover to cover. At the time I was suffering from a bad back and I was able to float away and forget about reality for a little while and almost feel myself within the pages. Even having lived in Japan for a while, I didn’t live in Kyoto, so I have learned something new about the city, while refreshing my memories about what I did learn while I was there. Kyoto is definitely a place I would love to return to, and now I can return, if even for a short time by picking up this book and flipping through the pages. I bought the Kyoto book for my daughter who loves Japan! Thanks. She read the post and has been there.